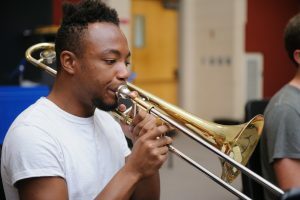 The University of Alabama School of Music is recognized as one of the premiere centers for brass study in the southeast. In fact, UA School of Music hosted the 2015 Trumpet Festival of the Southeast. With an esteemed faculty of brass teachers who maintain active national and international performance careers, the brass area at The University of Alabama continues to produce graduates who populate the professional world of music at all levels as music educators, performers in symphony orchestras and military bands, university teachers, and more. 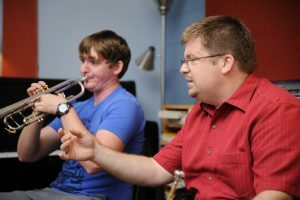 Our applied instrumental professors bring to their students experience from some of the world’s most respected teachers, performance backgrounds cultivated in major artistic cultural centers, and a deep commitment to their academic success at The University of Alabama. The brass faculty’s varied careers also encompass solo performance, orchestral performance, chamber music, and more — all at the highest professional levels.